The Chinese giant brand most popular smartphone announces their X20 and X20 plus Android smartphone after a hug breakthrough they made lunching their V7+ as an India and amazon exclusive Vivo. 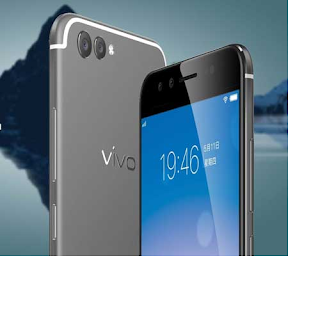 The vivo technology Smartphone is aimed at becoming the Chinese best seller because of their one and only feature that is now currently becoming a standard in mobile devices – a full view display. this best device that is expected to be their best seller come September 25th 2017, the X20 has a dimension of about 1080X2160, a 6.01 and 6.43 super display, weighing 170gram. inbuilt with a Snapdragon 660 processor speed , well equipped with the latest Android operating system of 7.1.1 (Nougat). Battery 3245mAh and 3904mAh respectively for X20 and X20 plus, 4GB Ram inbiult storage and expandable storage of up to 256GB storage. what else do anyone expect when you have a super AMOLED screen display, Finger print, and super double camera of 12MP and 5MP respectively. The vivo X20 and X20 plus will be available in three colors Rose, Gold and black.